The event’s significance was the precedent that this verdict set, but most of the ‘news’media simply didn’t report this important precedent: it was the first official U.S. governmental conclusion alleging that Iran had, in effect, ‘invaded’ America, on 11 September 2001; and, yet, even now, no one is saying that Iran invaded the U.S. on 9/11, because the U.S. government isn’t yet trying to prepare the public to support an invasion of Iran by American forces. Still, this precedent could become the start for such preparation if neither of America’s Iran-hating ‘allies’ – Israel and/or Saudi Arabia – can be induced to invade. 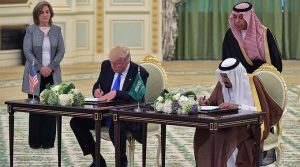 President Trump, on May 20th, advanced toward the possibility of invading Iran a long way when he announced a record-shattering $350 billion sale of U.S.-made weapons to Saudi Arabia, and the White House said «This package of defense equipment and services support the long-term security of Saudi Arabia and the Gulf region in the face of Iranian threats». The symbolism here was that Saudi Arabia is America’s ally, and that Iran is America’s enemy. The stage is set in case a U.S. President will want to take that stage. 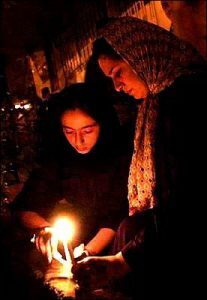 All of the information that’s known about Iran’s actual role in 9/11 is contained in the judge’s 22 December 2011 «Findings of Fact and Conclusions of Law» in the civil court case, which the judge stated solely upon the basis of the research that the law firm for the suing American victims had set forth. Basically, what their case came down to is that some of the 9/11 hijackers had travelled through Iran prior to 9/11. Among those «Findings of Fact and Conclusions of Law» were no allegations of evidence to prove that Iran had participated in the planning of the 9/11 attacks, nor of any Iranians paying any of the hijackers. However, one anti-government Iranian, named Mesbahi, referred to a flight simulator that maybe had been purchased from Iran, and he was alleged to have said that he «believes that the simulator was probably used to train the 9/11 hijacker pilots». That’s all. For these things, the judge fined the Iranian government $10.5B, and told the suing victims to get the money any way they could (which might be not at all since Iran mocked and rejected the verdict — but the precedent for ‘Iran caused 9/11’ was set). Then, Mehochko stated: «The Pentagon was already exploring options for regime change in Tehran». Furthermore: «Israel and Pakistan were also alarmed about the increased cooperation between Iran and the United States». Clearly, the U.S. is set upon conquest. First, Afghanistan was invaded; then Iraq; then Libya; then Syria — all of them destroyed (and radicalized — which the U.S. started in Afghanistan back in 1979). Perhaps Iran will be next. What is the point of anyone’s trusting a government like that? 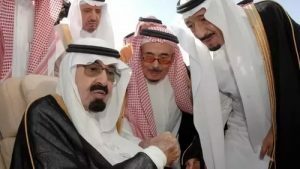 If Trump were sincere, then, he would instead publicly expose the fraud that U.S. foreign policy has been based upon, and he would expose the historical record, which proves that the U.S. should be protecting Iran and its allies from the Saudi-led fundamentalist-Sunni war against Iran and against all of the world except Sunni-allied Israel and except Sunni-ruled countries. Russia and China and India would then become also U.S. allies, and the possibility of a globe-annihilating nuclear world war – WWIII – would immediately plunge. Hundreds of trillions of dollars that will otherwise be spent on preparations for WWIII would then go instead toward constructive expenditures. But something prevents American Presidents from doing any such thing as that. Apparently, America’s long war to conquer Iran, Russia, and China must go on no matter what. The 9/11 attacks kicked it into high gear. First, the U.S. punished Afghanistan for 9/11. Then, the U.S. punished Iraq for 9/11. Then, the U.S. court said that Iran somehow was the nation guilty for 9/11. Then, the U.S. President said that Iran is ‘the number one terrorist state’.